This gorgeous bangle is made with a very tough piece of paperboard tubing. 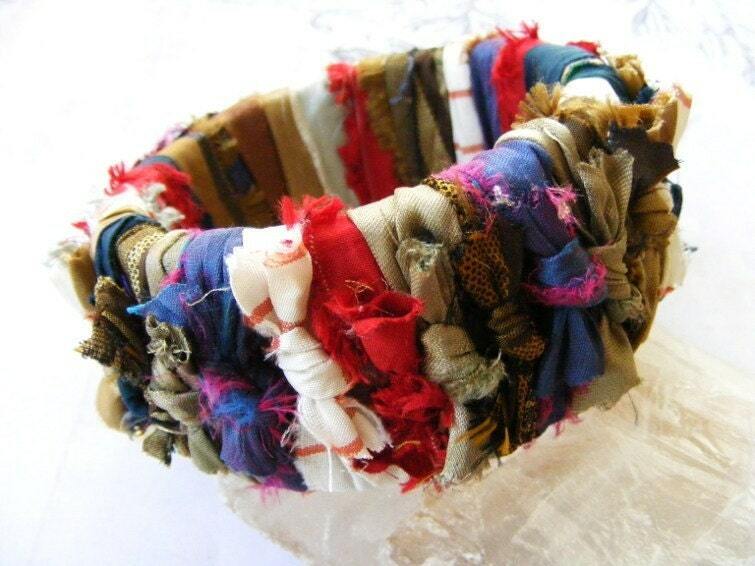 I wrapped it with pieces of sari silk and knotted them on the outside. It is so colorful and fun to wear. This bangle is perfect for medium to large hands and wrists. Folksy :: Buy "Red Recycled Plastic Bag Sunflower Pendant"
Craftori » Unique Storage Jar. Up cycled Mason Jar. DENIM. Additional Colors Available.